We bumped in to Kent lass Shelley-Georgia the day after our Push the Prom event in Brighton last year whilst at the Level Skatepark and since then, Shelley has pretty much been around for all of our skate trips up and down the country. 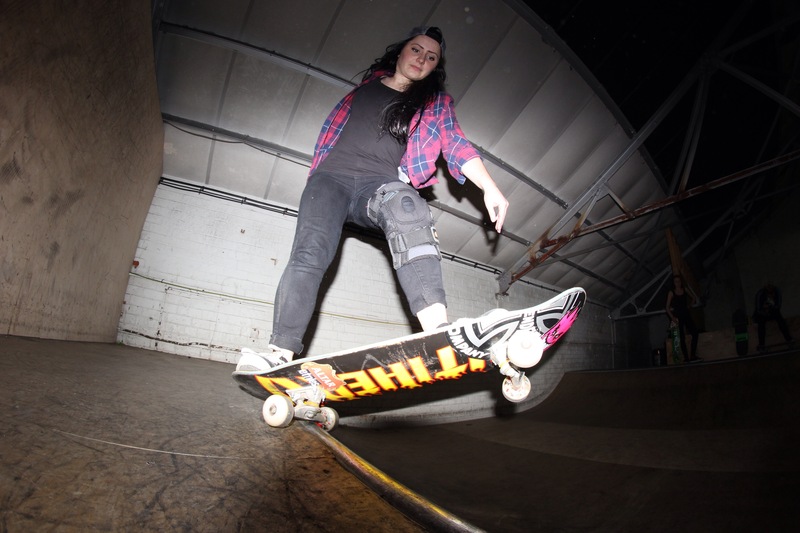 Back In September, Shelley got some bad news that she had ruptured her ACL, meaning a full time knee brace when skateboarding and an operation that will put her out of action for a good few months. 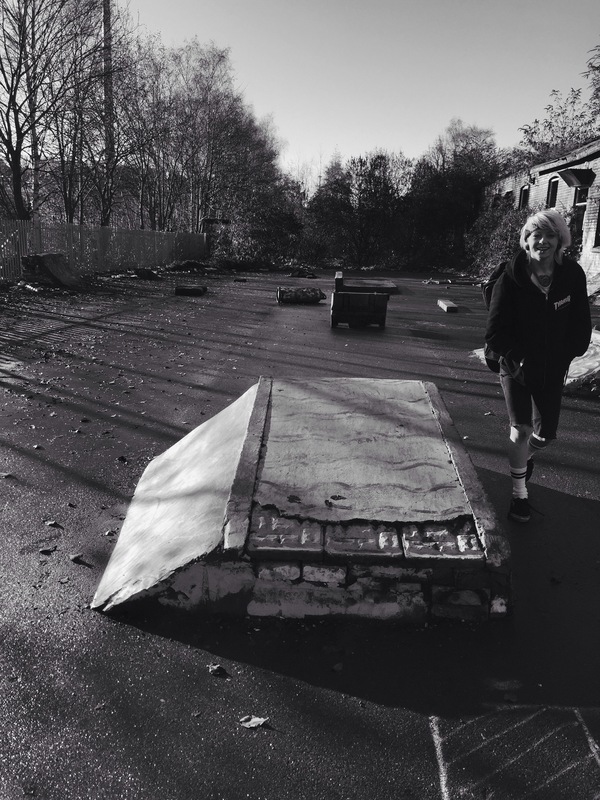 Not to be deflated, Shelley has been packing in as much skateboarding time as possible before the dreaded due date and one of those trips included a drive up to Sheffield to skate some of our local digs at the back end of last year. Read what Shell had to say of the weekend and then make sure to watch the edit above to see what we all got up to! One cold Friday night in November us Southerners; Twig & I took a roadtrip all the way to Sheffield to see Danni & Kirsty, and with my ACL replacement surgery due soon we thought we’d call the trip; “Screw Shelley’s Knee Tour” and what a rad tour is was! 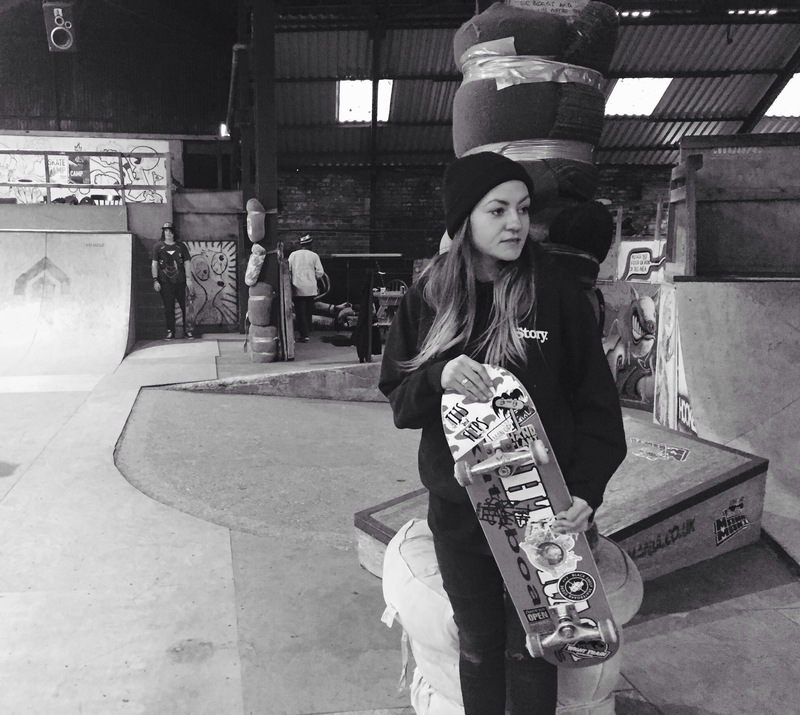 This year I’ve never loved skateboarding so much and this is partly down to Danni pushing me !! The car journey up north consisted of one small stop in Harlow to have a cheeky skate with Death skateboarder Mark Nicolson, then we powered through 200 miles listening to; Wham, Prince and Queen singing as loud as possible with Twig staying awake with me the whole way. 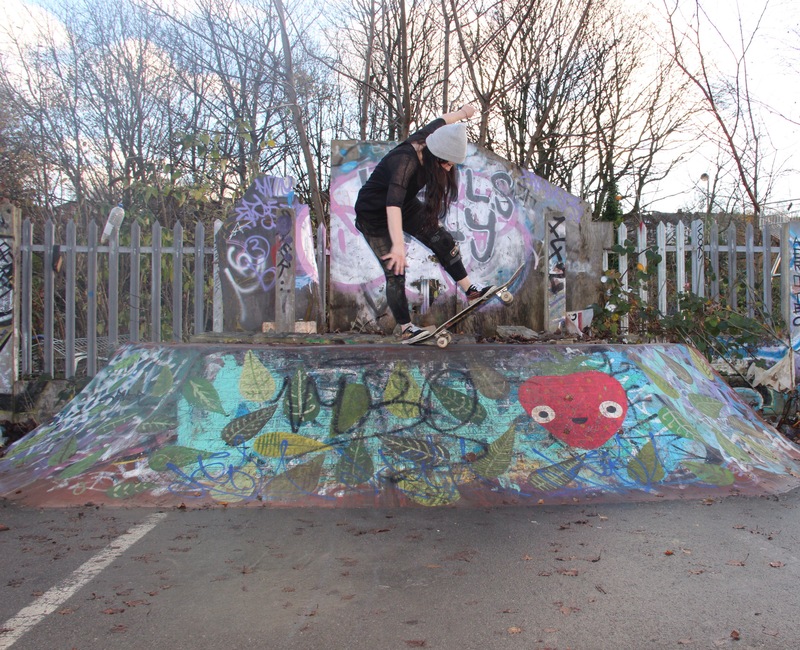 The best spot of the weekend would be the DIY spot in Sheffield we visited on the first Sunday morning, which is unusual for me as I skate bowls and transition. This spot was rad, even though I got covered in mud due to the wet weather and cuts and bruises from thorn bushes on the journey through to the spot. I had so much fun and smiled the whole time and we got some rad pictures. Hull’s bowl was amazing … The skatepark is huge and designed very well, I couldn’t tell you how long we was there as the time flew by! 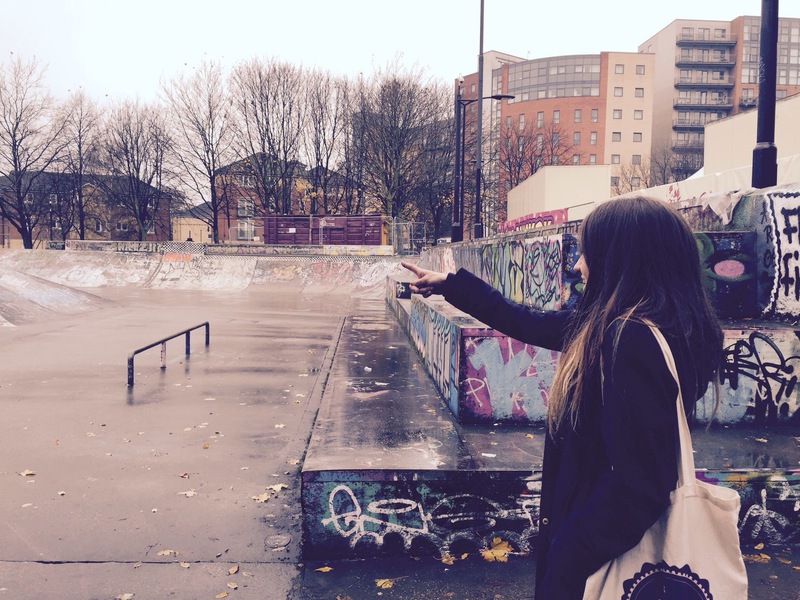 We checked out the House skatepark on Sunday morning which was rad, we skated mostly the minis. Twig’s skating was on top form, as well as Danni’s and Kirsty’ s, these girls got me so hyped to skate and I felt like a solid crew hitting spot to spot with rad tricks and varied styles. Danni with her rad frontside rocks and frontside flips, Kirsty with the smoothest Nollie flips Iv seen a girl do and Twig with her punky careless style and gnarly airs. 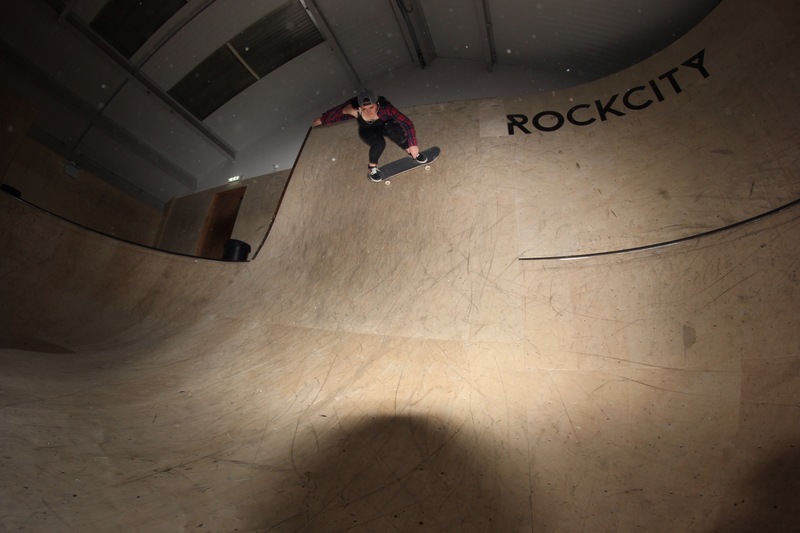 On the Sunday morning the outdoor parks were wet so our bright idea was to coffin Bomb some huge hill …. I don’t think Iv ever been so muddy, you had to go into the grass to stop, I couldn’t see because of the wind in my eyes and couldn’t stop laughing … It was too good! Kirsty and Danni welcomed us southerns with great hospitably that we’re already planning our next road trip making sure we check out the new indoor concrete bowl and Manchester next time.I can’t tell you how stoked i am on the girl skating scene right now, all my skating life I have rarely skated with girls and it’s amazing now as we push each other, film more and have so much fun. A lot of this scene and the events is down to Danni and GIRLSKATEUK, so spread the word guys and get involved! Hope you enjoy our edit.